This incredible full color 44-page Bible atlas has clear plastic overlays of modern-day cities and countries. 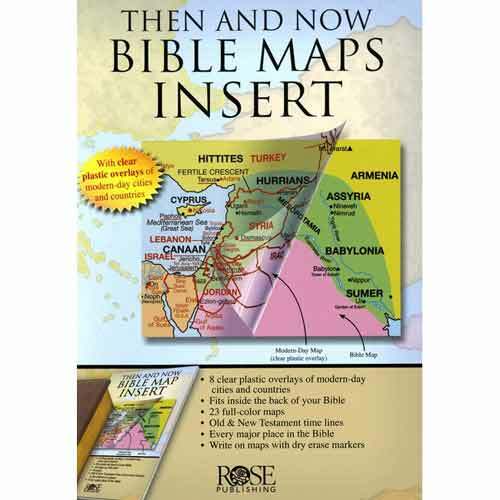 Now you can have "Then and Now" Bible maps inside your Bible. Includes 44 pages; 8 plastic overlays; all maps in full color; larger print than other Bible map inserts; every major city in the Bible; a Bible time line; index; separate maps for each of Paul's Journeys. 5.5 x 8.5 inches. This has double the maps and more color than any other Bible map insert on the market!